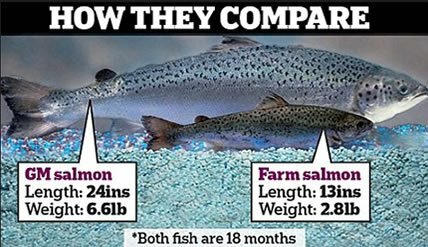 The FDA has removed the last roadblock to genetically engineered (GE) salmon hitting supermarket shelves. The GE salmon will have to follow the labeling guidelines spelled out in the GMO labeling law passed by Congress in 2016—meaning that the only indication consumers will have that the salmon is genetically engineered may be a scannable QR code. As most consumers don’t use these codes, many may have no clue that they’re buying GE salmon. We must support legislation that calls for stronger labeling requirements for GE salmon.